Public transportation is a great thing, especially for tourists that need to get around the city without the need of a rental car. However great the city's public transit is, the travel time isn't expected to be remarkable. Taxis, buses and subways are just a means to the end, a way to get to the desired destination. There is one way though that will get you from point A to point B, but also promise an aerial view that is unforgettable, via cable car. Read about these four cities that are not only tourist hot-spots but also offer an amazing and awe-inspiring cable car experience. Rio de Janeiro was built up around the base of Sugarloaf Mountain. High above Rio is one of the city's most famous landmarks, the Christ the Redeemer statue. To get there tourists can ride two different cable cars, both allowing 65 passengers at a time. The first car goes from the base to Mount da Urca which is a 722 foot climb. After that guests can travel the remaining 1300 feet to Sugarloaf's summit where they can get a 360 view of the beaches, cities and ocean below. 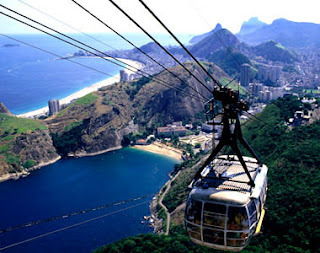 Becauase the cable car transport has become such a popular way to spend the day in Rio de Janeiro, Mount da Urca, the midway point up the mountainside, has built up an impressive area to shop and dine. What a stunning way to spend your day in the sunny and sensational Rio de Janeiro. Capetown, South Africa is our next location and with the beautiful scenery here an aerial view would prove to be breathtaking. Capetown is situated between the shores of the Table Bay and the Helderberg Mountains. The cable car departs every 10-15 minutes and carries visitors 3559 feet to the top of Table Mountain. The climb takes about 5 minutes and promises many camera worthy shots in that short time. Upon arrival at the top tourists can dine, shop or take a nature walk through Table Mountain National Park. Before you depart, sip some wine while watching the sunset and enjoy a very memorable excursion. 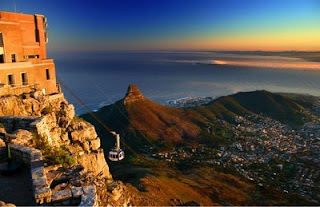 Capetown is full of activities, but the cable car is a must. 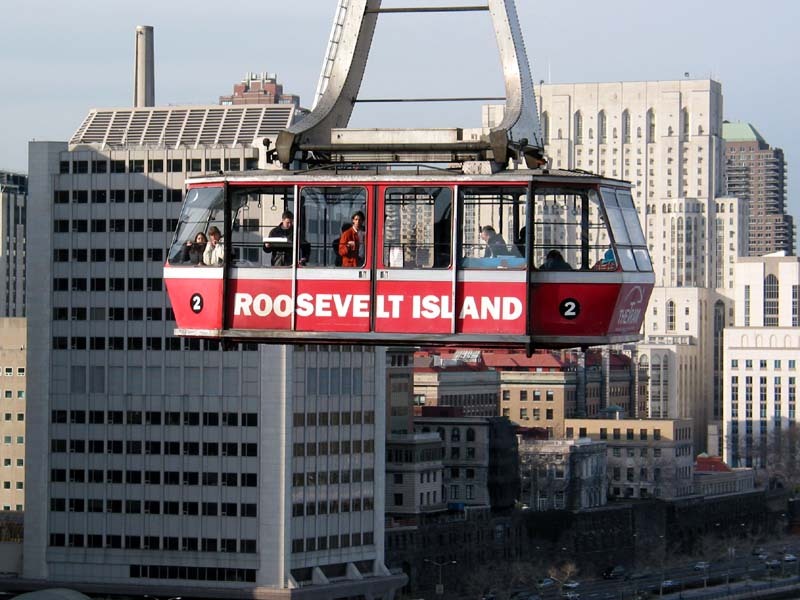 It allows people to view the city from high above it's magnificent streets. Queenstown, New Zealand also has aerial transport, called the Skyline Gondola Queenstown. 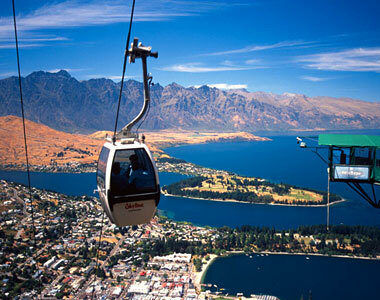 This heart-pounding ride takes tourists 1476 feet high above the scenic New Zealand countryside. It highlights many of the picturesque areas like Coronet, Walter and Cecil Peak as well as gives a unique perspective of Lake Wakatipu. The gondola arrives at Bob's Peak where visitors can take a nature walk, ride along the bike trails or await sunset and stargaze. New Zealand is fantastic, but a view from above will prove to be well worth the small ticket price. New York City is an urban jungle with miles of high rise building and concrete sidewalks. Although it may not have the natural beauty of our previous destinations, there is no doubt it is a bewitching city. Many tourists have traveled to the top of the Empire State Building for a view from above, but there is yet another way to see the Big Apple from above. 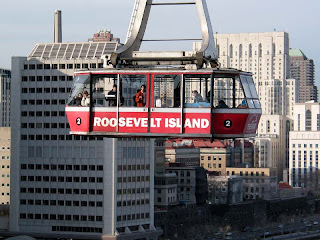 Built in 1976 as an alternate way for residents of Queens to get into Manhattan, this tram can carry 125 people 3100 feet showing stunning views of the Queensboro Bridge, the East River and the Upper East Side. It drops guests in a prime location to hit subways or bus routes to their destination, or just a 15 minute stroll to Central Park. For the same cost as a ride on the iconic New York subway, you get a ride with a pretty impressive view. This aerial cab may not be as popular as the bright yellow cab in this big city, but it will definitely be more memorable. The cable car may not be a common form of public transit, but the views it provides will make it unforgettable. If you are heading to one of these amazing cities, let WhatAHotel! help to book your stay at one of the Best Hotels where you will receive exclusive perks and benefits. We would love to help you find a hotel where you can experience impeccable service with superior amenities and the where the concierge can help you book your excursion so that you can also catch a glimpse of the city from high above. Let us help you create memories and maybe even experience the trip of a lifetime.